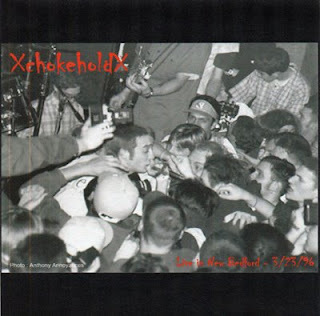 This recording came straight from the soundboard at Chokehold's final show, which was at a fest (which I forget the name of) in New Bedord, MA. Frankly, the quality of this recording, sounds better than half of Chokehold's studio recordings. That's why updates have been slow this week, and will continue to be non-existent until we get back from our honeymoon on the 10th. So, everyone have a great day, because I sure know I will be.